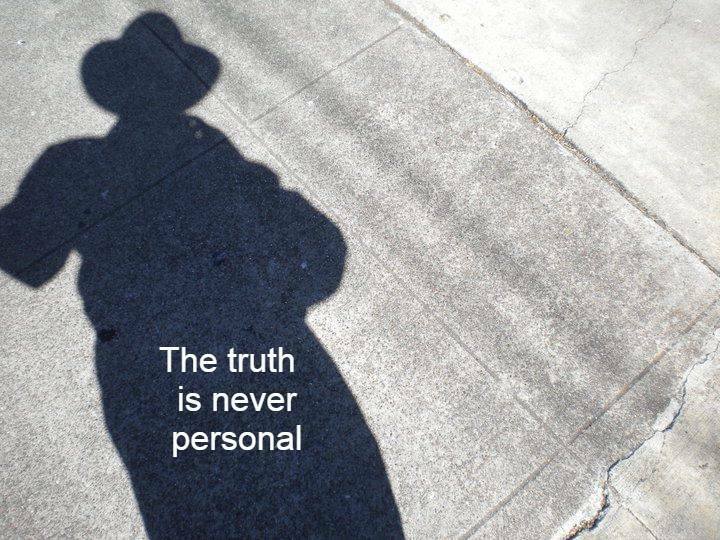 The shadow of a personal self invites us to turn around, to look at the looker, to see that the seer – that which is actually seeing – is not a personal self, but spirit, itself. Indeed, when we make experience personal, we view it through conditioned, habitual, mind-interpreted sensations – through ‘a glass darkly’. Absent this conceptual personalization of experience, there is real presence. Unfiltered, selfless, Reality.